All of the features and the advanced technology that make the E26ECO an outstanding daily auto scrubber are only enhanced by the integration of the SPORT technology. SPORT (Scrub Polish or Remove Top Two Coats) can easily and economically provide users with the means to perform chemical free surface preparation and or the removal of floor finish to effectively clean and restore floors. Advanced technology makes the E26ECO a part of the innovative walk-behind scrubber line, the E Series. 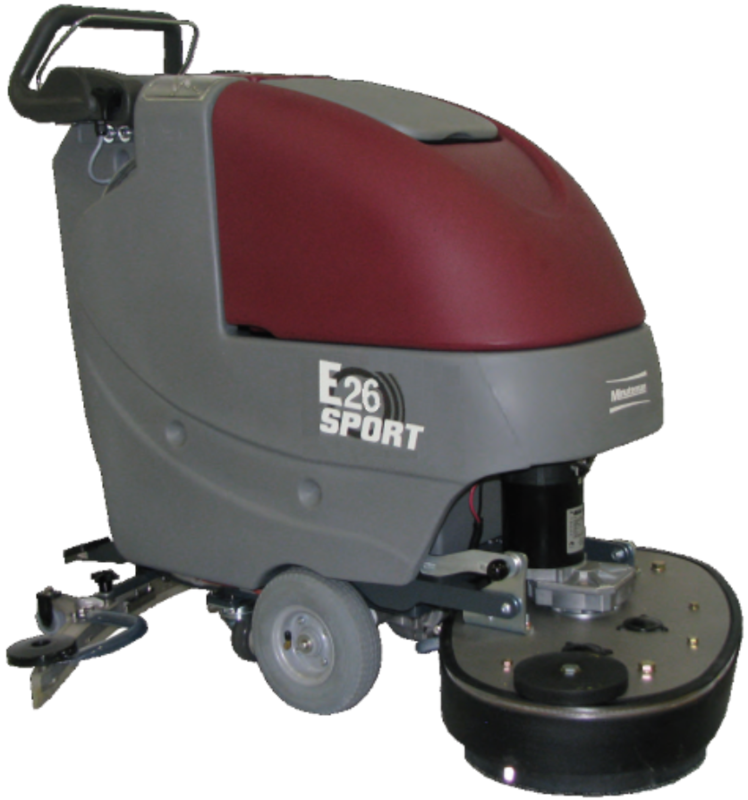 The E26ECO SPORT (Scrub Polish or Remove Top Two Coats) can easily and economically provide users with the means to perform chemical free surface preparation and or the removal of floor finish to effectively clean and restore floors. The E26ECO SPORT contains an onboard charger that is convenient and allows the machine to be charged anywhere.